Providing clean sparkling windows is what we do best at NICK’S Window Cleaning, with service heights of up to 27 storeys you can depend on us to keep your property well maintained and looking great. We clean churches, housing complexes, multi-storey office buildings, large retail outlets, and more. 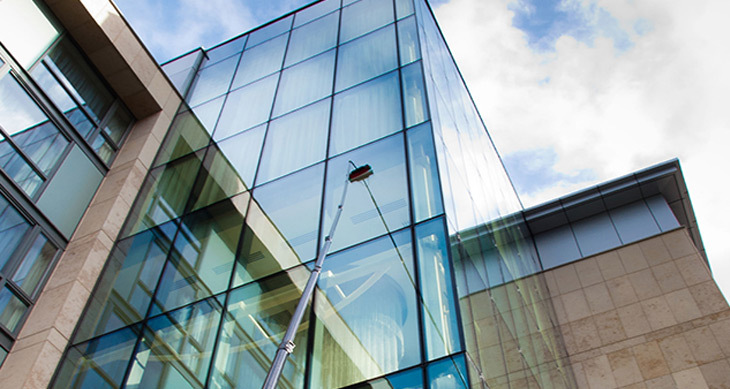 For all commercial and industrial property window cleaning, we are here to help. We provide industry leading customer service, and exceptionally skilled workers. Our staff of friendly, uniformed professionals will take care of your property safely and quickly. Contact us today for a free no-obligation estimate and discover the difference great service makes. 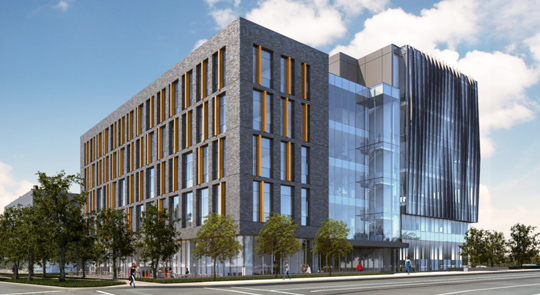 Scaborough is a diverse area featuring manufacturing facilities, condos, and office buildings. We provide window cleaning for all of these properties and more. Customizing our service to match your needs is an integral aspect of providing the best customer service possible. As Ontario’s leading commercial window cleaning company our service is fast, affordable, and effective. Contact us to discuss the right solution for your property. Your windows cleaned when it suits you best. 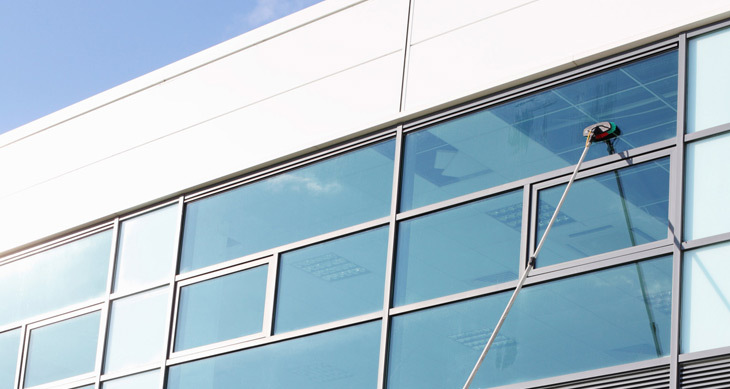 Whether you have a retail outlet or a large office building, there may be certain times of day or events occurring that require time specific requirements on your window cleaning project. At NICK’S Window Cleaning we do our best to accommodate these needs so that your windows are cleaned when it works for you the best. Describe your needs precisely when you call us and we will make it a priority to meet your time requirement needs. Cleaning windows at heights requires a special attention to the safety of all parties involved or possibly affected by our work. Our technicians are highyl trained in all procedures and equipment used throughout our work. We take all safety precautions necessary to ensure your windows are cleaned quickly and effectively in a safe manner. We believe affordable, high-quality service should be a standard when you hire a commercial window cleaner in Scarborough. We can clean any property, residential complex, church, high-rise office building, or a retail outlet. Our team is comprised of prompt skilled window cleaners that take pride in what they do. Able to clean windows at heights of up to 27 storeys, our team provides all buildings with exceptionally clean windows. Whether it is the middle of autumn, or the middle of summer, we will do out best to ensure your windows look amazing all-year round. Scarborough has a large diverse set of buildings, ranging from industrial and manufacturing properties to office buildings and retail complexes. If this describes your needs, hiring a window cleaner for your property is likely a good idea. Attempting to tackle this type of window cleaning project yourself is usually bordering on impossible. Clean windows are sought after for different reasons depending; property owners want to maintain their investment, and cleaning windows is important to prevent damage. Tenants (or owners if they work in the space) want to keep their property looking great for customers and clients. For both of these reasons cleaning windows should be high on the TO DO list. Hiring an expert to clean your windows is the best possible way to ensure the job is done right. Many windows are difficult to reach. Trying to handle the work yourself, or by hiring a repairperson or labourer to do the work usually results in lackluster workmanship. When properties have high up, difficult to reach windows this will make the problem even worse. Poorly cleaned windows often make them look worse than if nothing was done in the first place. A pro Scarborough commercial window cleaner will have the skills, tools, and knowledge to get your windows cleaned quickly and efficiently. 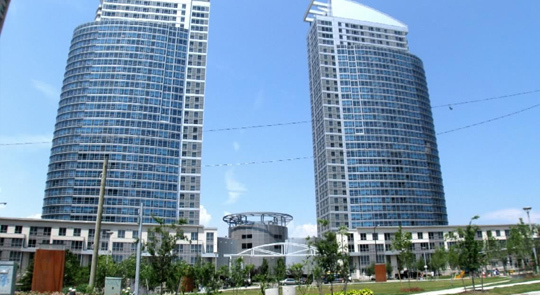 Quite a few commercial, condominium, and industrial properties in Scarborough are tall buildings. Reaching these heights will be impossible without the help of a pro. A professional will have at their disposal the right equipment to make the job safe and easy. Additionally, a professional will have extensive training and safety knowledge to ensure that the window-cleaning job is done safely. Complimentary safety training also helps to make certain all aspects are covered, and there are no accidents. For all condominium, office, retail, or apartment complex window cleaning needs, depend on your local Scarborough commercial window-cleaning company NICK’S Window Cleaning to get the job done right. Working across the entire Scarborough area, we provide industry-leading service and keep all properties looking their best. Disruption is kept to minimum, and we get the job done quickly and effectively. For a no-obligation commercial window-cleaning quote, contact us today.